Everyday I’ve been looking forward to checking my mail because I love seeing all the Christmas cards friends & clients have been sending to us! It’s especially cool to see photos I’ve taken used on some of these cards. It’s not very often that I get to see my photos in print so I really love it! 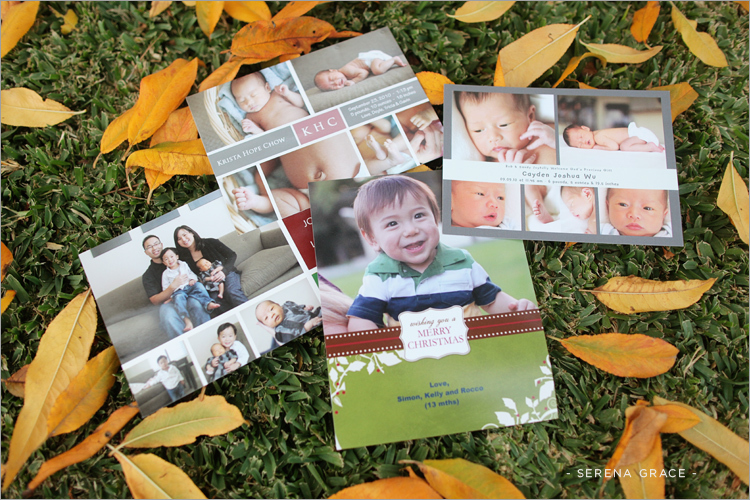 Thanks for sending us your Christmas cards & baby announcements! And yes, I’ve photographed quite a few babies this year! It’s so exciting to see some of my past brides & grooms starting families now. I really love doing newborn sessions, and it’s kind of amazing to be able to witness & capture one of their first days in this world!